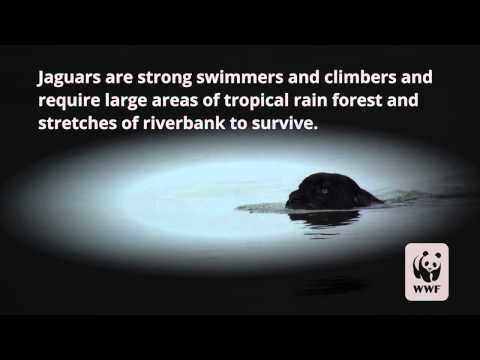 To protect these species, WWF works with local communities, partner non-governmental organizations, corporations and governments to ensure that deforestation and degradation of rivers are alleviated. More than 30 million people, including 350 indigenous and ethnic groups, live in the Amazon and depend on nature for agriculture, clothing and traditional medicines. Most live in large urban centers, but all residents rely on the Amazon’s natural bounty for food, shelter and livelihoods. Despite its mighty splendor, the Amazon’s forest and freshwater systems are fragile and at risk. Amazon forests suffer as global demand for products such as beef and soy increases. Forests are cleared for more and more cattle grazing pasture and cropland. These growing industries also displace small farmers, forcing them into forested areas which they must clear to sustain themselves. Cattle pastures occupy 80 percent of deforested areas in the Amazon. Pasture runoff contaminates rivers. Fire used to manage fields often spreads into the remaining forests. The deforestation caused by ranching also contributes to climate change, releasing 340 million tons of carbon into the atmosphere every year. Transportation and energy infrastructure are essential for national and regional development, but when they are poorly planned, negative impacts can exceed short-term benefits. For example, building new roads exposes previously inaccessible areas of forest to illegal and unsustainable logging. WWF conducts biological surveys and works with governments to help inform the dam site selection process. We advocate for a basin-wide approach to hydropower planning that identifies the rivers with the highest conservation value so that development can be steered away from them. There is high demand for the natural resources found in the Amazon, but weak law enforcement to safeguard them. In addition, inefficient extraction processes lead to the destruction of nature and wildlife. For example, some mining activities contribute to soil erosion and water contamination. In recent times, warmer temperatures and less rainfall have produced droughts of historic proportions. The Amazon suffered its worst droughts of the last 100 years in 2005 and 2010. Long dry spells wither crops, decimate fisheries and lead to forest fires. This can result in significant shifts in the makeup of ecosystems and a loss of species. WWF helps farmers protect their crops from severe rainfall and droughts and ensure nearby wildlife areas can adapt to a warmer world. Learn more about the impacts of climate change in the Amazon. Protecting and conserving the Amazon, a place two-thirds the size of the U.S., is a big job. WWF has been working in the Amazon for 40 years and is at the forefront of efforts to protect the forests, species and people that call it home. We engage local communities and partner with governments to identify solutions that bridge the needs of economic development and conservation. WWF collaborates with governments across the Amazon to create and manage protected forest areas. In Brazil, through the Amazon Region Protected Areas Program (ARPA), WWF works to create a network of parks covering 150 million acres of forest. This area would be over 50 percent larger than the U.S. National Parks system. WWF helps carry out surveys of the new parks as they are created and supports park planning and management. An important milestone was the creation of Tumucumaque Mountains National Park, the world’s largest protected tropical forest at 9.5 million acres. This pristine wilderness, with its rugged and remote terrain, now protects species like jaguars, giant anteaters, harpy eagles and a rare monkey known as the black-bearded saki. In the southwestern Amazon, WWF works to protect more than 25 million acres of forest and freshwater habitat. Our work through the Amazon Headwaters Initiative helps park authorities in Peru and improves fisheries and other sustainable livelihoods for indigenous people in Bolivia. In addition, data from years of tracking jaguars in Peru has shown us the importance of conserving long stretches of rivers in the Amazon; jaguars spend a lot of time in riparian habitat. Soy farming: WWF works with the Soy Roundtable—made up of soy producers, processers and exporters—to improve the sustainability of their practices and minimize impact on the Amazon and its wildlife. We also seek to promote demand for sustainable forest products. WWF engages local indigenous communities and governments to manage protected areas. We also support local communities’ ability to earn a living sustainably. For example, in a protected area in Bolivia, WWF supports training and organic certification for sustainable Brazil nut harvesting.